The Gasoline Station in America is an exhibition at the National Motorcycle Museum, fun, yet informative. 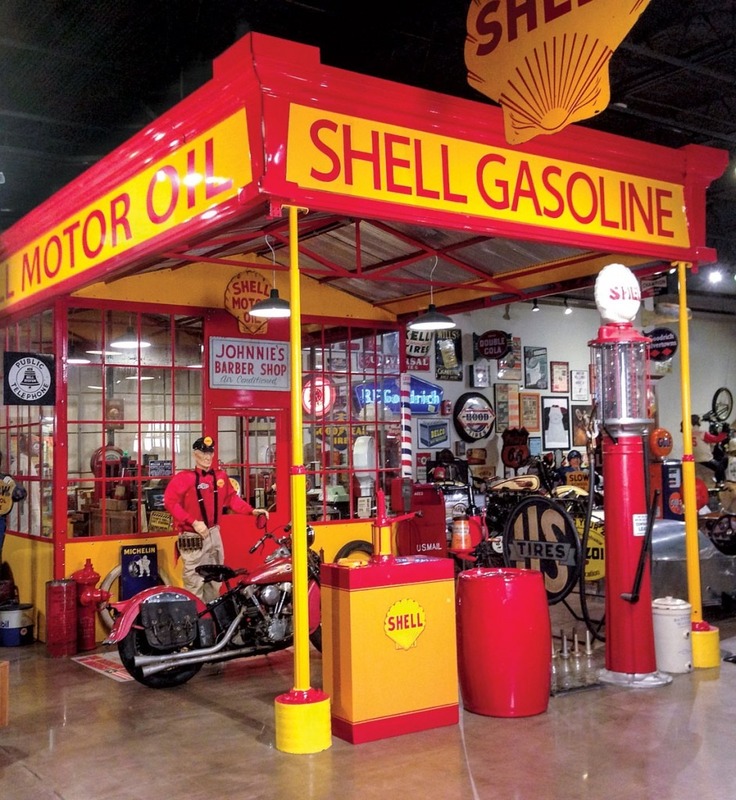 Using a grant from the State Historical Society of Iowa, the Museum painstakingly restored a 1920’s steel, modular gasoline station to its original glory and erected it in inside the Museum. Note the gravity pumps, the bulk oil tank and other features a driver would meet on the American roadside in bygone days. Visitors can walk right upto the attendant’s office, check out items that might have been sold in the era and get the feel of being a gasoline station attendant in years past.